Today I CASE'd (Copy and Share Everything) a card that uses one of my favourite stamp sets in the catalogue - A Little Wild. 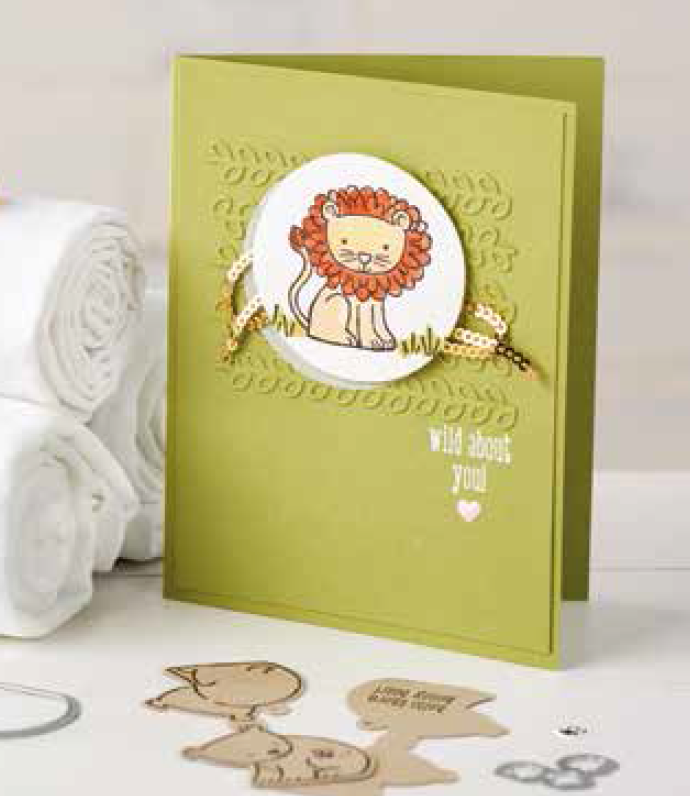 I have to admit, I'm not normally drawn to stamps sets that seem to be geared for baby and kid cards, but this one got me! Here's the card I CASE'd from page 108 of the Annual Stampin' Up! Catalogue. I change up the stamp and colours and trim, but it stays pretty true to the original card. The set is perfect for watercoloring - I used Watercolor Pencils and a Blender pen on the bear - so easy! The coordinating framelits (available as a bundle) are perfect for making adorable tags!